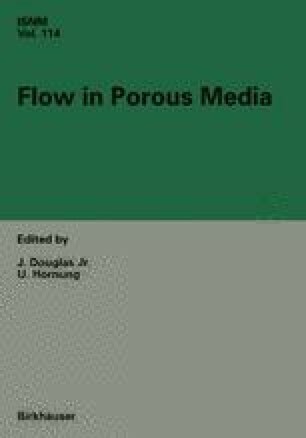 We consider the Peaceman model for nonstationary two-component miscible flows through porous media. It is known that there exists a global weak solution, and we address the questions of its regularity and uniqueness. Our results hold under the assumption that the variation of the viscosity is not too large, or, speaking from a physical point of view, that the mobility ratio is not too much larger than one. More precisely, we require that the variation of the viscosity as a function of concentration multiplied by the sum of appropriate Sobolev norms of the initial and boundary data is less than a constant depending on the domain and the data. Under that condition we prove the existence of a very regular solution, the uniqueness of which is also established.